I'm writing a quick post to get something out before “Bones” starts at 8:00 pm (the whole family loves that show). Again, all you need to do is sign up for the email list, and you'll get the download links. Next, based on the feedback from my polls and the comments on my posts, it seems like there are a lot of people who are interested in developing a website for their quilting business, or working on improving their existing websites. So, it got me to thinking about putting together a short (1 week?) online course to develop your own website. Basically, my thoughts are that I would put up the skeleton of the site, and then spend an hour each day helping you fill out your site and making it work for you. I'm not sure how much I'd charge for this, but it won't be cheap. Of course, compared to having a web design company set up your site, it will be very inexpensive AND much more effective. Let me know your thoughts, and if you'd be interested. 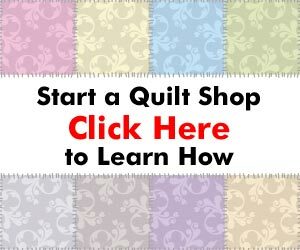 Also, if you could let me know how much you think it's worth, I'll try to come up with something everyone can afford and will result in a great website for your quilting business. i’m still hearing from ladies about helping with In a Good Way and this is awesome and i am so thankful to you. Teddi – Very glad you’re receiving some help with such a great cause. Send me an email and I’ll see if I can help out with your website. I think you’ve got some great ideas and I really like that you’re helping some people who are looking to get back on their feet.